Discussion in 'iPhone and iPad Games' started by PeteOzzy, Apr 21, 2015. 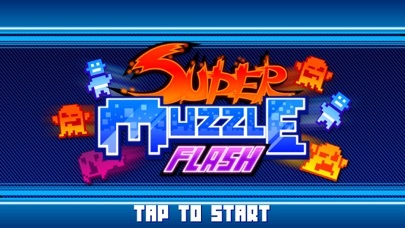 Super Muzzle Flash is a new spin on the old shooting gallery, only... youre blind until you shoot! Tap to shoot, shoot to see. See a ghost, shoot em down. CONTROL YOUR FIRE! You might hit a Civilian by accident! Featuring stunning visuals with a unique take on pixel art, an era defining art style. Developers Dime Studios have focused on delivering gameplay that is gripping, instantly accessible, and as much fun as it is provoking! 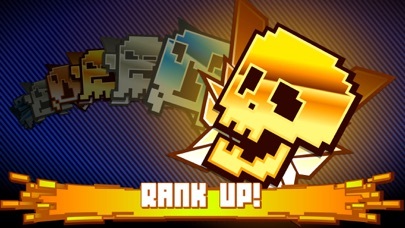 -Rank up! Unlock all 27 shiny badges. 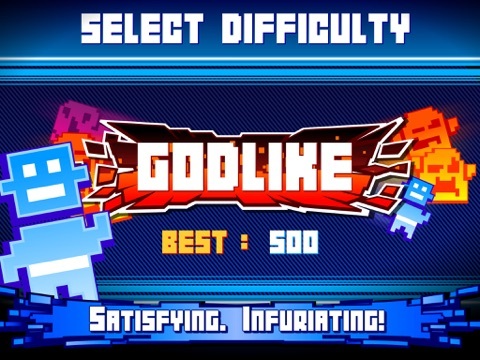 -Easy, Hard, Insane and Godlike difficulties. -Share your Screenshots and Video replays with friends. -Bonus points and bullet time. Put your lightning-speed reaction skills to the ultimate test! 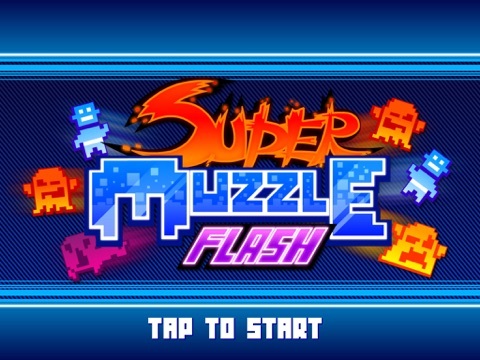 Super Muzzle Flash is a new spin on the old shooting gallery, only... you can't see until you shoot! Tap to shoot, shoot to see. See a ghost, shoot ‘em down. CONTROL YOUR FIRE! You might hit a Civilian by accident! 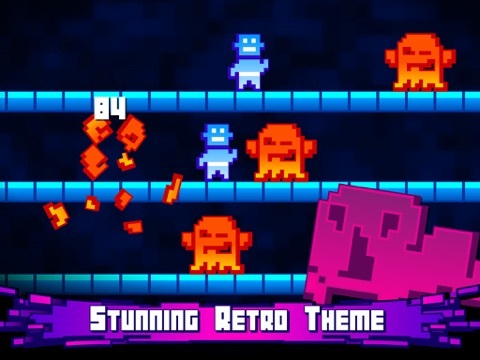 With gorgeous visuals with a unique pixel art style, Super Muzzle Flash is grippingly intense, instantly accessible, and satisfying to master! 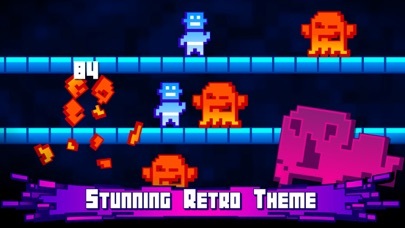 Features: - Stunning Retro-inspired visuals. 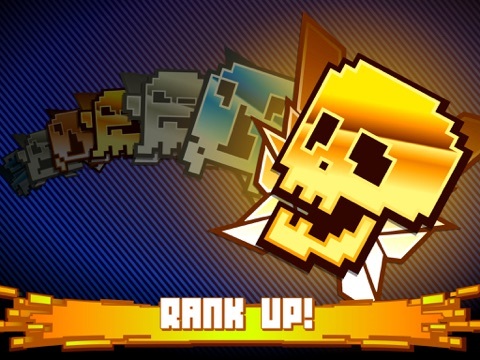 - Rank up! Unlock all 36 shiny badges. - Compete against your friends. 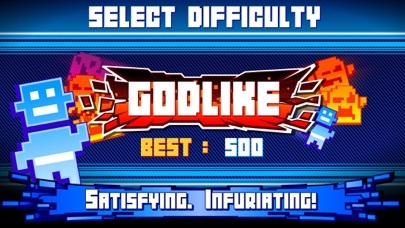 - Easy, Hard, Insane and Godlike difficulties. - Share your Screenshots and Video replays with friends. 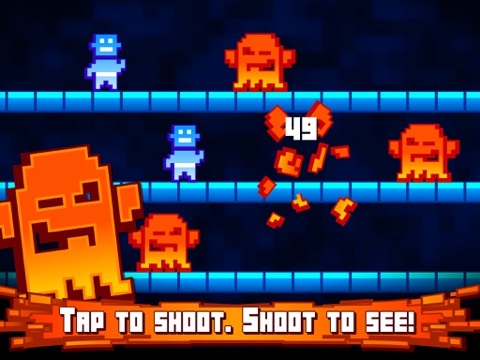 - Special "Bonus Points" and "Bullet Time" Ghosts. Visuals look gorgeous. Is this a shooting gallery? 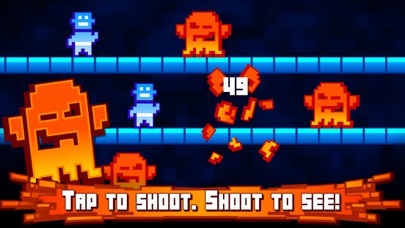 EDIT: Oops just read shooting gallery on the description. This looks real nice. In what way? What could we do to improve the game? I think even the easy mode is hard! If you're off by a smidge in all that chaos of making sure it doesn't go dark, you lose. Also, would a portrait option be possible? I think it would be cool if you removed the blue "floors" entirely and just had monsters across the black screen. Keep it just a little more minimal due to the nature of the game. Neat idea though to freshen up the gallery concept. You're not wrong, it's a very hard game by design. We wanted to make something that was difficult so that as you improve, you feel really accomplished. We added the "zoom" to the miss after a lot of testing iterations. Do you feel cheated at all when the game shows you the miss? Portrait is a discussion we had a little too late in development, but after more and more feedback it's a feature that seems pretty necessary. We'll investigate it more to see if it's worth putting out a portrait update. Removing the platforms is an interesting suggestion. The platforms are meant as a guide to help players anticipate where the Ghosts will be coming from, moving across etc. Does it feel cluttered because of the platforms? Would smaller or thinner platforms be a reasonable compromise? We hope you're enjoying Muzzle Flash none the less. Would love to compare your initial feedback to feedback after a few playthroughs, or later difficulty modes. I suggest portrait not only because I prefer to hold my phone that way, but it seems like it would be fun to be able to shoot with one thumb. The platforms are not too cluttering, I was just thinking that the less on screen and the more minimalist, the better. What about an option to turn the platforms off if one wanted an extra challenge? Plus I think it would be more fun if the ghosts were floating about instead of just going across...they are ghosts after all, lol.